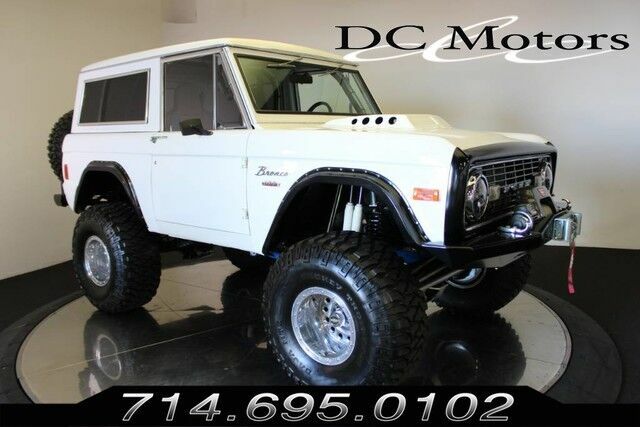 Very well equipped 1973 Ford Bronco. Highlights include fuel injected 302 engine w/ aluminum heads, electronic MSD ignition, power steering, Hydroboost disc brakes, 4 core aluminum radiator, C4 automatic transmission, James Duff suspension, 23 gallon fuel tank, Warn winch, and WELD racing wheels. For more information about this vehicle and attractive financing options, please call our experienced sales team at 1-800-730-MOTOR. Stock # Q67587, Automatic, 41830 mi.